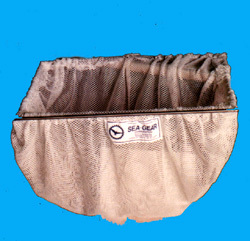 Although a wide variety of commercially available dip nets exist SEA-GEAR is able to provide a uniquely fashioned unit to meet your exact needs. We have manufactured dip nets for the collection of surface contaminates to floating whale feces. Any shape net, mesh and frame are available guaranteeing your satisfaction.